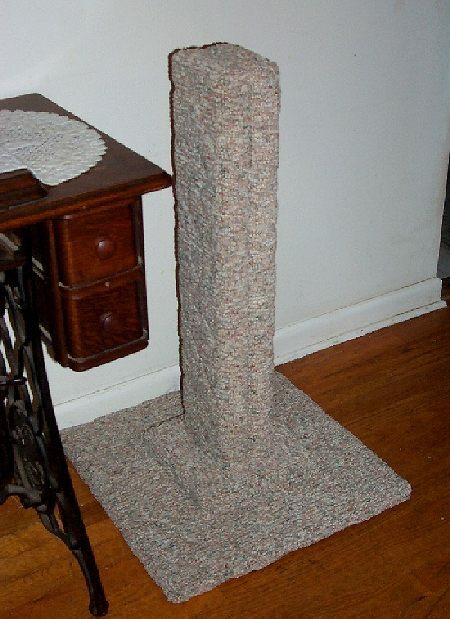 "So your cat prefers Berber? We can do that....."
Tall and tough. You will not find strength and durability like this anywhere else. Period. Covered securely, bound with industrial fasteners. TWO by SIX board construction on upright section. Actually two posts back-to back! Really flat and wide! Reinforced 19" base, & more than two inches thick at center of base. Produced in earth tones. ( for details, see: Carpet Choices ). Easy assembly - Shipped with base off. All fasteners and tool supplied. No additional tools needed. Shipping costs on this post reflect the sheer bulk & weight of this post. Since it is all wood, you are paying to have that weight shipped to you..
Total quality that lasts - the quality your cat deserves! 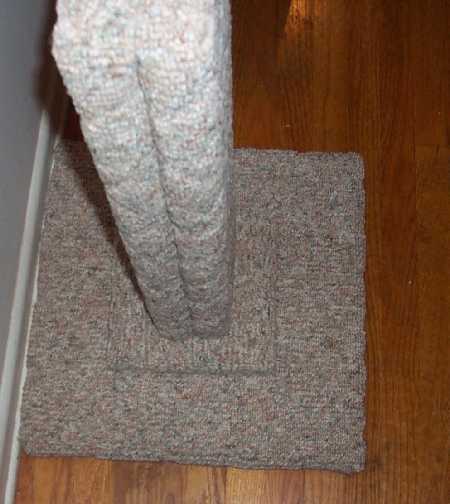 "Hi Tommy, Just wanted to let you know that the scratching post arrived right on time, and Boysenberry was on it before it was even put together. He now uses the scratching post exclusively and ignores the stair carpet....yea! It is just the right size and strength. Please note that berber is a loop carpet & is therefore subject to pulls and fraying. As your cat continues to scratch it, you should just cut these loose ends off with a scissors. the fact is that ALL of our posts will eventually be destroyed, and one day, we hope it looks so bad that you'll want another!